What developments are making professional cleaning more efficient and effective? Every year there are new developments which offer up new ways of enhancing the way we clean. As a professional cleaning and building services company we always look for ways to make our services more efficient. With this in mind we keep an eye on all technological developments in the sector, looking at new ways to innovate and develop the service we offer our customers. Below are some of the key areas where technology is changing our approach and making cleaning services even better for customers. Green and eco-friendly cleaning is no longer something that business owners hope for. It’s something they expect. Green cleaning is not a new development in the industry but it has become a non-negotiable option for many businesses and therefore cleaning companies have to ensure they have the same approach. As more businesses and cleaning providers have become committed to eco-friendly processes and products, the creators of cleaning products have had to take note. Chemical-laden products are no longer wanted by either cleaning companies or end clients so producers are having to innovate and look for newer and more natural ways to approach their product ranges. Sustainable business practices go far beyond cleaning but this is one area where many business owners have already made up their mind and committed to only working with cleaning companies who share their green credentials. Automation is another cleaning technology which isn’t really new. 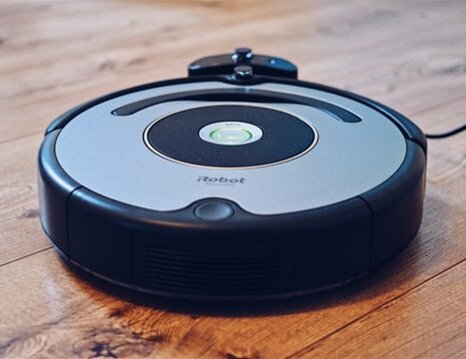 Domestic robot vacuum cleaners have made life easier for many homeowners and on a more commercial scale automation has meant robotic cleaners and large automated machines have been able to be used in many environments. Further commitment to developing automated machinery and cleaning equipment leads to more efficient cleaning processes. Operators in some businesses are now able to monitor their machines remotely and still make operational changes in real-time, ensuring further benefit to their customers. Automation also removes the chance of human error in vital and critical cleaning environments such as hospital cleaning and cleaning in scientific institutions. The Internet of Things has transformed how we interact with inanimate objects. While this statement may seem strange, it simply means that technology is allowing us to connect with every day items in the work environment and communicate with them, so they work more efficiently. For example, trash cans have been designed to send a notification when they need emptying. Likewise, paper towel dispensers can notify cleaning teams of when they need filling up. This removes the need for time wasted checking every trash can or dispenser, allowing cleaners to work more efficiently. Real-time notifications ensure quick action and mean that issues such as overflowing trash or no toilet paper are dealt with in a timelier fashion than ever before. Messaging apps are for more advanced than they used to be. The latest apps can allow business owners and decision makers to connect directly with the cleaning team on the floor or at least their supervisors in seconds to organize additional cleaning or for any other purpose. If reactive cleaning services are needed a notification can be sent or updates can be sent to ensure additional services are required, especially useful if you never usually see your cleaning team because they work overnight or in the morning before office hours begin. Apps can also be used to organize payments, arrange cover and it allows quicker and more instant communication with cleaning teams albeit in a virtual way. Developments in technology are relevant to many sectors and it is possible to ignore them altogether. However, any forward-thinking cleaning company will look to do all they can to deliver the highest levels of efficiency to their clients at all times.